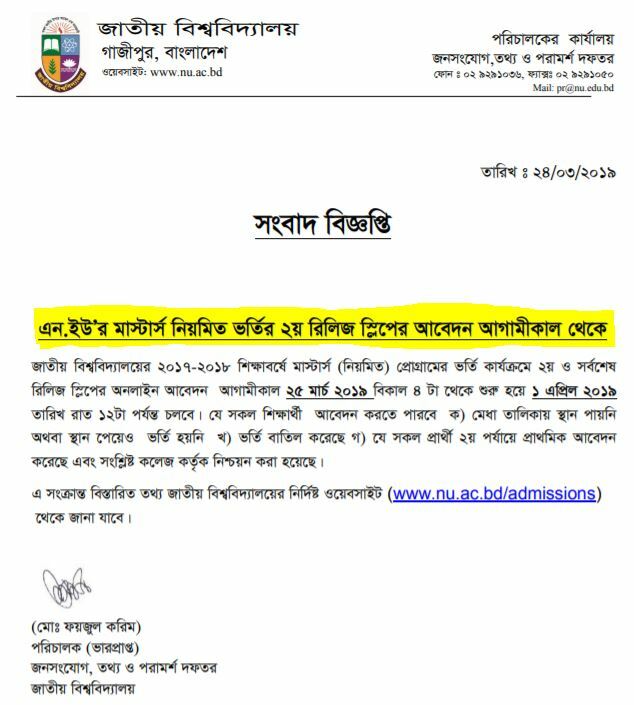 National University of Bangladesh Masters admission 2nd release slip application related notice. Masters 2nd release slip application will be started from 25 March 2019. And deadline date 1st April 2019. Interested applicants can apply for 2nd release slip application for Masters. Masters admission related all of the information you can find here if you have to need any help contact us or visit the official website of the National University of Bangladesh and also update Notice from here.